This post is sponsored by Parlux Fragrances, Inc. The graceful, sensual allure of the East and the modern elegance of the West create an exquisite balance in the new eau de toilette version of the effortlessly sophisticated fragrance for women: NATORI from Josie Natori. The sheer new interpretation of the modern classic fragrance will be available at Saks, Bloomingdale’s and Neiman Marcus for Spring 2011. Distributed and marketed by Parlux Fragrances, Inc., the eau de toilette comes in a 1.7 oz size in a translucent violet-tinted glass bottle, priced at $65. 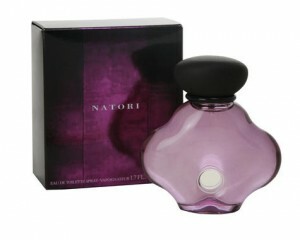 As part of The Natori Company’s commitment to helping with relief efforts in Japan, 10 percent of the sales of all Natori fragrances purchased at www.Natori.com through the end of April will be donated to the Red Cross disaster relief fund.